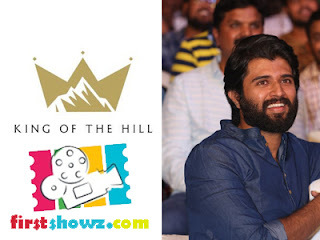 Vijay Devarakonda who is busy with the promotional activities of his upcoming film NOTA has made a surprising announcement of his new production house. Yes, Vijay Devarakonda is venturing into production, and he named the production house as King of the Hill. The Geetha Govindam actor has also unveiled a short video teaser at the event and thanked producer Gnanavelraja for allowing to make this announcement at NOTA event. Vijay Devarakonda, besides acting will bankroll films simultaneously in multiple languages across south India. His NOTA movie is slated for October 5th release, and speaking about the movie, he added that the film will influence voters in a good way and choosing the right leader. Watch out this space for NOTA Review Rating.